After agreeing on a Date and Time for your first lesson, I will pick you up at your choice of location, be it at home or at work. Lessons can start as Early as 6am if required so we can finish at work. We will then get you comfy and relaxed, and check your provisional or full licence, and also take some details of your address and passed experience. You will then need to take an eye test and read a vehicle number plate from a distance of 20.5 metres. Then I will structure the lessons around your needs, on which we work at your pace. The time you take to reach your test, depends on you, the individual, so we can work together to get a pass. Being nervous is a natural thing, so Just relax and enjoy your lessons!! There will be no car sharing, so this guarantees you 100% learning time. I will not take you out on to The A38 on your First Lesson!....if you are a New Driver, we will start on a Nursery Circuit! These topics will be covered during your training. COCKPIT DRILL: Door, Seat, Seatbelt, Mirrors Procedure and getting to know the controls. MOVING OFF AND STOPPING: MSM Routine. Mirror, Signal, Position, Speed, Look. Clutch Control, Angle and Hill Starts. APPROACHING JUNCTIONS: (Major to Minor Roads). Emerging at T-Junctions (Minor to Major Roads). Dealing with Open and Closed Junctions. Recognising Potential and Developing Hazards.Understanding of road markings, Signs and Signals. DEALING WITH ROUNDABOUTS, CROSSROADS, PEDESTRIAN CROSSINGS AND USE OF SIGNALS. ALL MANOEUVERS: Turn in the Road (3 Point Turn). Corner Reversing, Parallel Parking, Bay Parking (Forward and Reverse), Parking on the right, reversing back from a parked vehicle and joining the carraigeway. (Although the Turn in The Road and Left Corner Reverse exercise will not be used in the Test, we will still teach them to a good competent standard, as they are neccessary basic skills. ECO-SAFE DRIVING: a recognised and proven style of driving that contributes to road safety whilst reducing Fuel Consumption and Emissions. Correct Procedure dealing with DUAL CARRAIGEWAYS, Overtaking and Use Of Speed. 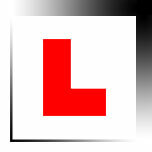 ROUTE PLANNING, SAT NAV and INDEPENDANT DRIVING: Planning of journeys and covering most areas of Plymouth. SHOW ME TELL ME: Identification and Vehicle Maintenance Checks.